This City & Guilds Textbook is the perfect accompaniment to the Level 2 NVQ Diploma in Beauty Therapy and Nail Services. 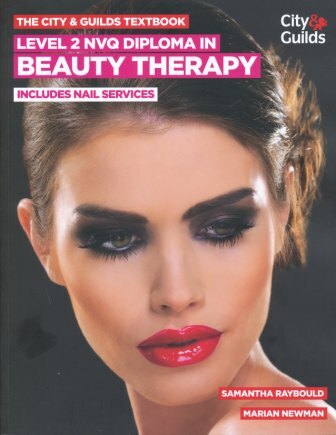 This Textbook is the perfect accompaniment to the Level 2 NVQ Diploma in Beauty Therapy and Nail Services. Published by the UK's largest awarding body, it maps closely to the NVQ standards - the perfect companion to the Logbook (Click here for more details on this title). This Textbook will help learners with all necessary practical skills, as well as detailing all essential knowledge in learner-friendly language. Not only is this Textbook an invaluable aid to training, it acts as a handy reference guide for learners in their post-qualification careers. Tutors will find it a precious tool for planning lessons and delivering the qualification.